Sales battle cards have been manually created and leveraged by the most dominating sales teams around the globe for decades. Whether you call them battle cards, killsheets, or simply competitor objection management, there´s a large chance you´ve in some way been using this concept as well. We know deals will almost certainly be lost if sales professionals are unable to favorably position their product against their competitor´s when the time calls. 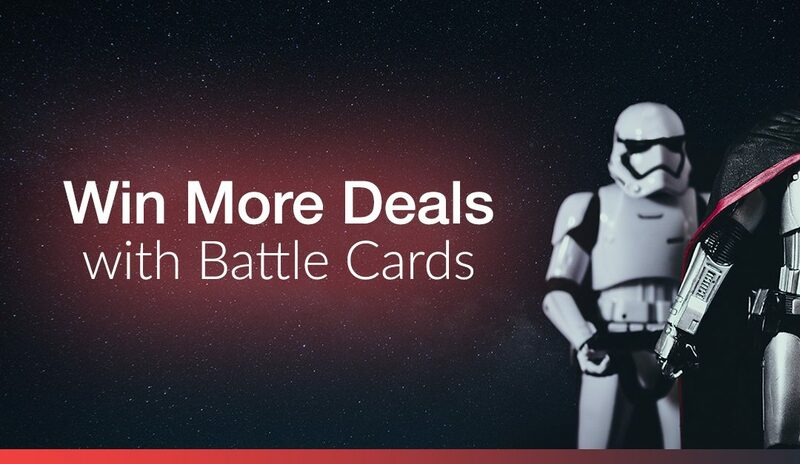 The term battle cards therefore refers to the sales “battle” your most successful reps find themselves in during their day-to-day conversations with stakeholders. These cards are concise compilations of information mapping anything from pricing to product features existing in the competitive landscape. What´s the big deal? Simply put, the better your team can manage objections, the more deals they close. Battlecards can also be used to more quickly and effectively train incoming team members, and help identify opportunities in the market or shortcomings in your offering. 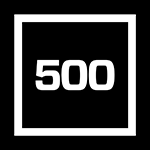 Keeping both your team and product competitive! With such massive benefits, the Kompyte team found themselves asking the same question we´re sure your pondering at this very moment- why isn´t everyone using battlecards? After much research and in speaking with our client base, we were able to narrow the answer down to 3 points: Traditional cards are difficult to create, time consuming to upkeep, and impractical for sales professionals to use on a daily basis. Kompyte clients now have an exclusive digital tool to quickly build, manage and upkeep their own competitive battlecards for both sales and marketing teams. 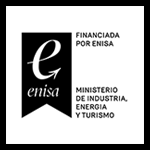 This new solution will serve as an effective means to arm your sales team, protect revenue, and increase the power of the competitive intelligence you´re already automatically receiving. Battlecards can now easily be created directly within the Kompyte platform. Our latest solution is intuitive and team collaborative, serving to cut training to a minimal and keep teams aligned. 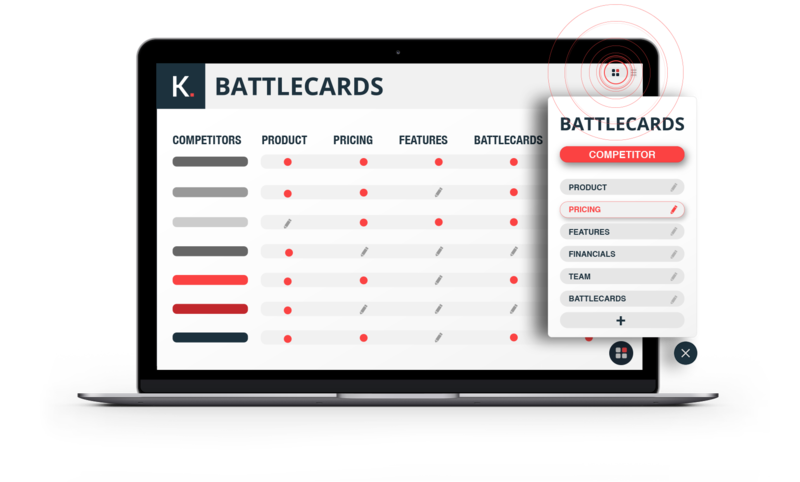 Next, the competitors you´re already tracking in your Kompyte platform will be automatically and effortlessly integrated for battlecard creation. Finally, add your already existing competitive intelligence into each card and customize as see fit! Competitive battlecards are a digest of information which grows and adapts overtime. To truly benefit from this tactic of CI, it is crucial cards are updated frequently to eliminate the risk of presenting outdated information to prospects. This is why it´s key to have a real-time and simple update system so sales professionals are armed with the latest intel at all times. Kompyte users will not only have access to the main platform solution to create user-friendly battlecards but also have the Battlecards Chrome and Firefox Extensions to manage the inflow of live intelligence from the field for real-time updates to the entire team. Whenever relevant insights are found, sales reps need only open their chrome extension and add the intelligence to the corresponding competitor battlecard. This can be intel gained in sales meeting preparation, during a conversation with a prospect, or after the sales process has ended. Battlecard upleep will now be a second nature activity among teams, keeping them now more competitive than ever. Sales people need to be agile. We’re kidding ourselves if we think these fast-paced professionals have the time or care to open a platform, let alone a folder or spreadsheet to access competitive intelligence. Free you team from platform dependency by giving them the full reach of our Battlecard Chrome and Firefox Extensions. Access the extension at any time to manage objections and win deals, including during a digital sales conference! The usage of battlecards will now be discrete, simple and fun for professionals, giving them a tool to enter any meeting with confidence and drive! Click here to learn more about Kompyte Battlecards or to get started arming your sales team.